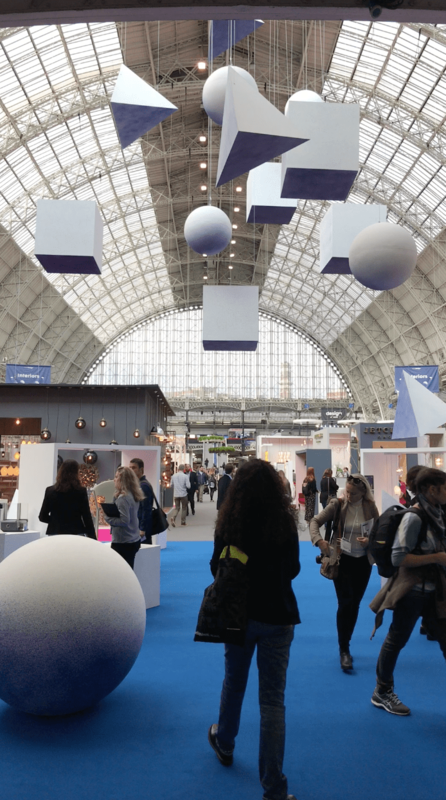 The London Design Festival is in full flow as I write this and what an amazing week it has been so far!! 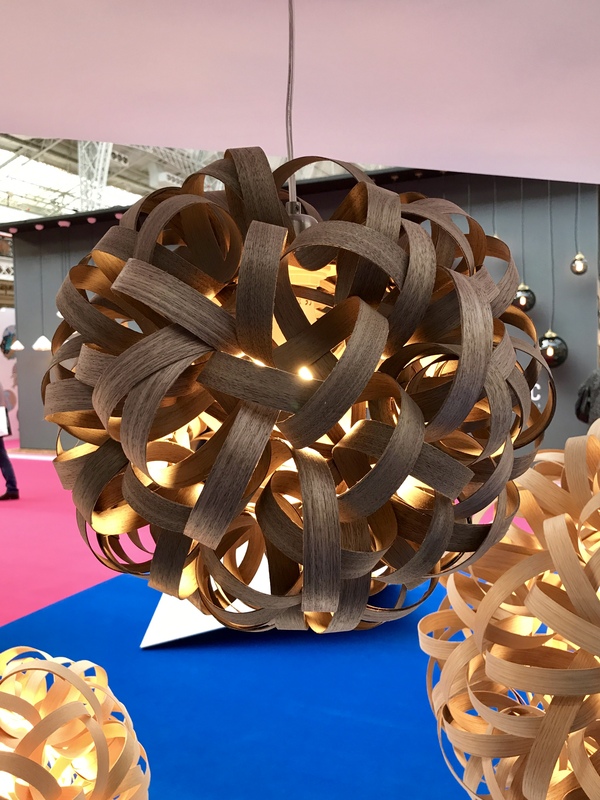 I have to say how truly lucky we are to have such amazing and inspiring designers not only from the UK but worldwide exhibiting here in London. A collective of new and established designers brought together in connecting us as a whole through their designs. It’s been a showcase for everyone who appreciates interiors and design, and not just for interior design professionals. With this in mind, today’s post is but a mere reflection of London Design Week, rather than a full-blown account. Quite simply, time is needed to digest and absorb all that I have seen, touched and listened to. I’ll be sharing more in depth with you over the coming weeks the designs and the designers behind them. At the moment, I’m like a cat on a hot tin roof, I can hardly contain myself! 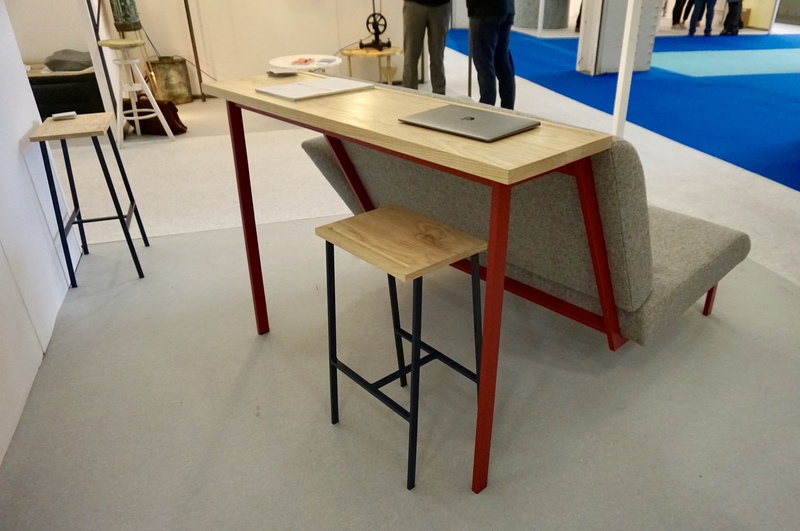 What I’ve come away with from London Design Week thus far is that the event’s theme of 360 Degree Design Vision is much about you the home dweller as it is the design for the designer. But first there is one thing that really struck me this year and that was UNITY amongst fellow designers. A reflection of current times and how globally we stand together; united in creating a better world around us. Proof of this unity was made clear by the number of designers connecting with each other to form collaborations. 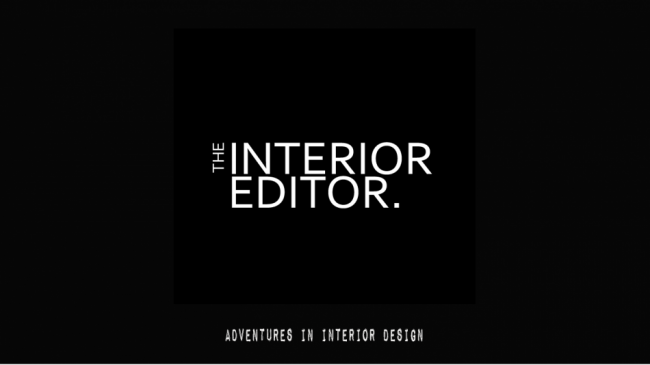 Working collectively to form unique and inspiring designs the interiors world is an extremely exciting time and I personally can’t wait to see more! 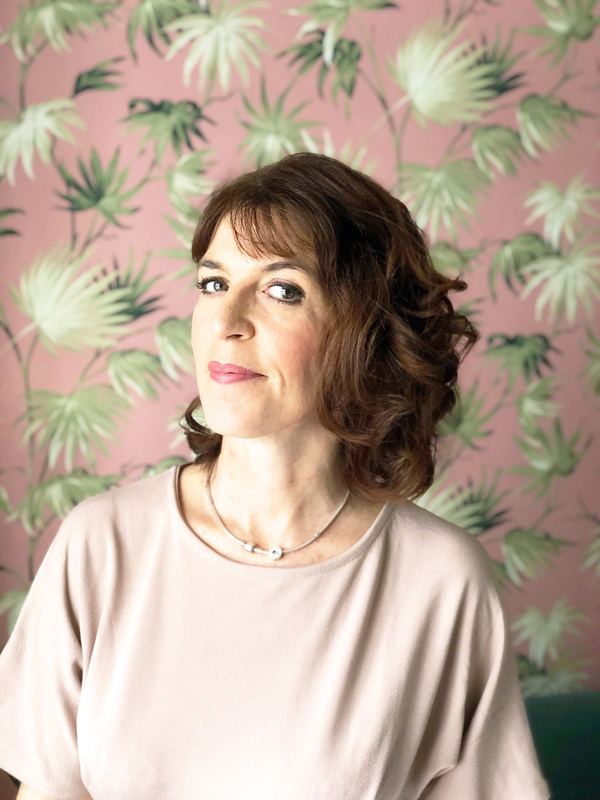 New designers such as incredibly talented Jo Elbourne, who won this year’s Elle Decoration Award for her stunningly beautiful wrapped and woven designs, works alongside Committee of Taste, a secondhand furniture dealer. 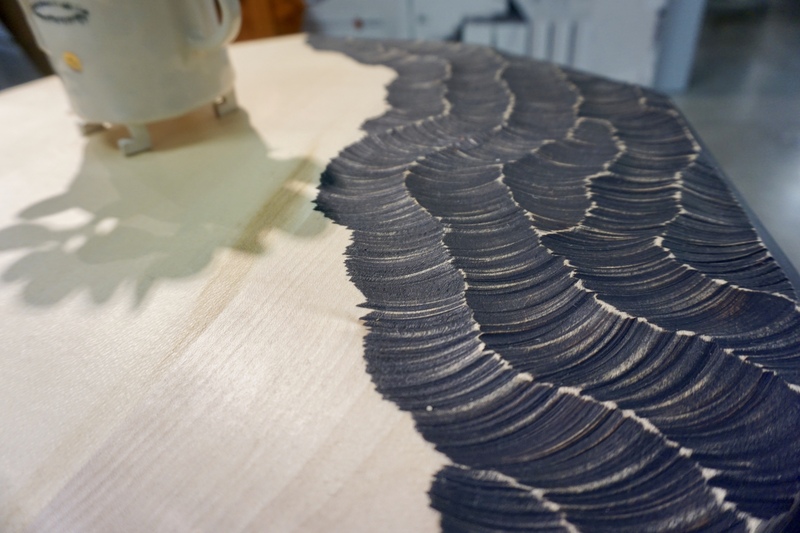 I think you’ll agree that this collaboration produces awe-inspiring design pieces. 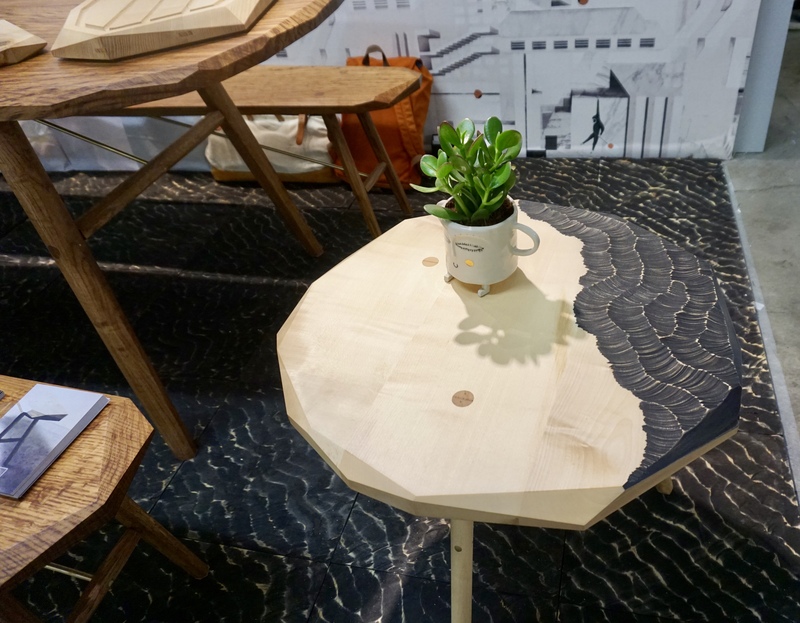 There are new and upcoming designers such as Bethany Luscombe, who has designed Llai an exploration through design of how we can live in the increasingly smaller spaces that are being built. Multi-faceted designs like this look to the future, accommodating our every need. It’s exciting to see innovative creatives thinking of the future ahead of us. 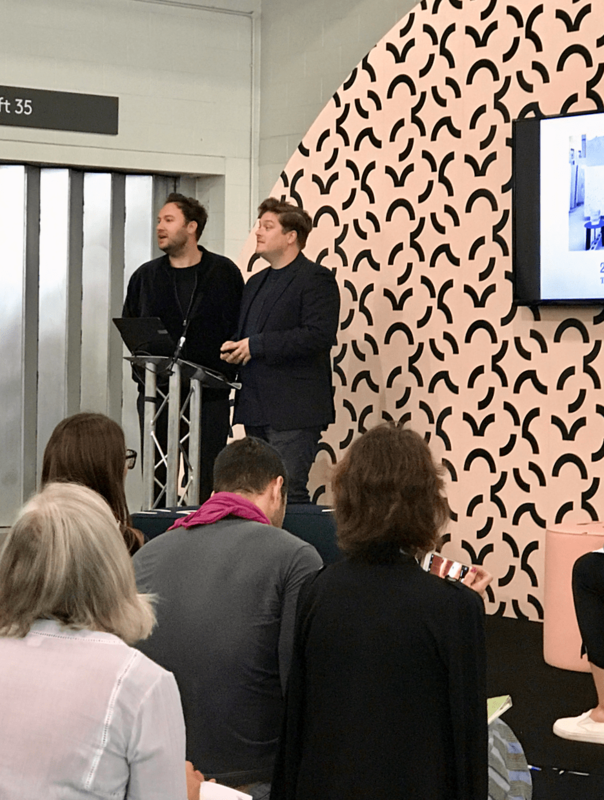 Knowledge is power as they say and the London Design Festival has seen some brilliant design experts not only share their expertise of the ever-evolving world of interiors but their own personal experiences. It was very much a show of unity; of bonding with each other through the connection of design and the love of it. All work and no play makes Jack a dull boy don’t you think? 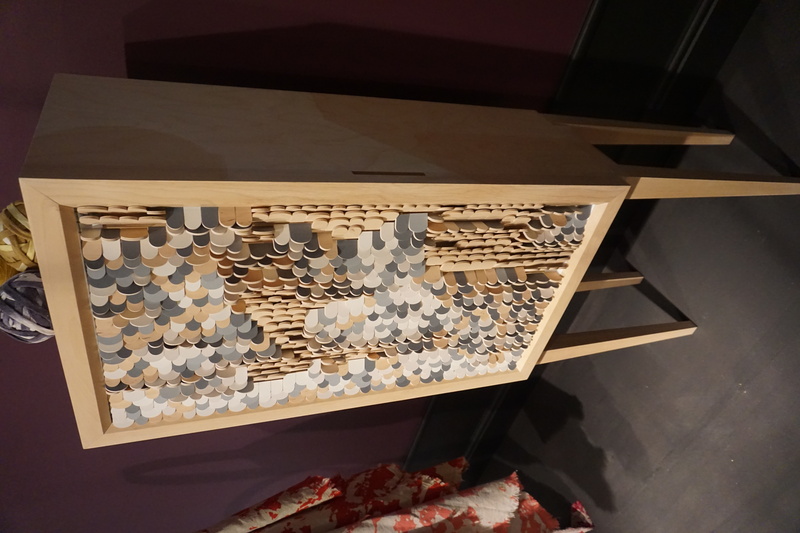 There were plenty of tactile pieces that ensure you interact and change with your needs or moods such as this beautiful cabinet above that morphs as you touch it; changing its colour and encourages you to have some fun in the process. Form and function are important elements to any design and designers are going further into our interaction with everyday objects. 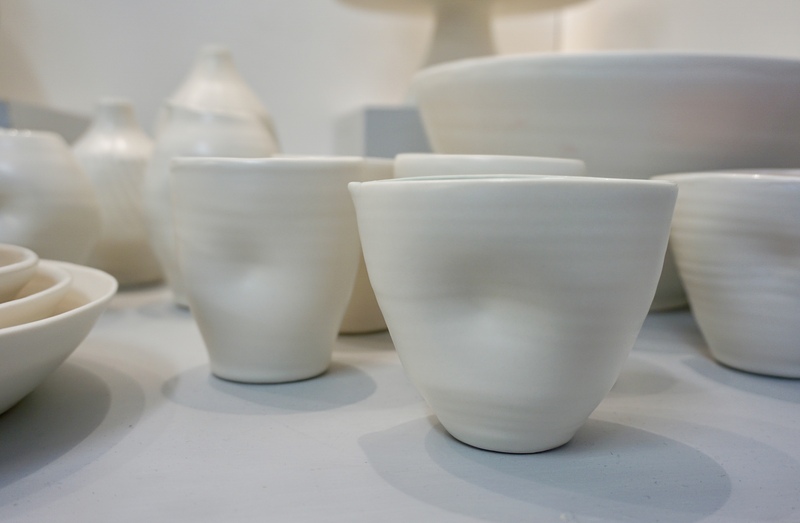 Ceramic designs like the dimples on these vessels by Linda Bloomfield; where your hand automatically encompasses the indentations making your hands part of the vessel, and thereby adding a comforting factor to them. The design becomes at one with you which I love. It’s about taking elements from the natural world around us and implementing them in our homes to enjoy. The bringing of the outside in and our connection with nature continues to grow in importance. Much like our lives, there is a growing thought of accepting and seeing the beauty of imperfection alongside perfection. Ultimately adding character and personality to key pieces to the home. 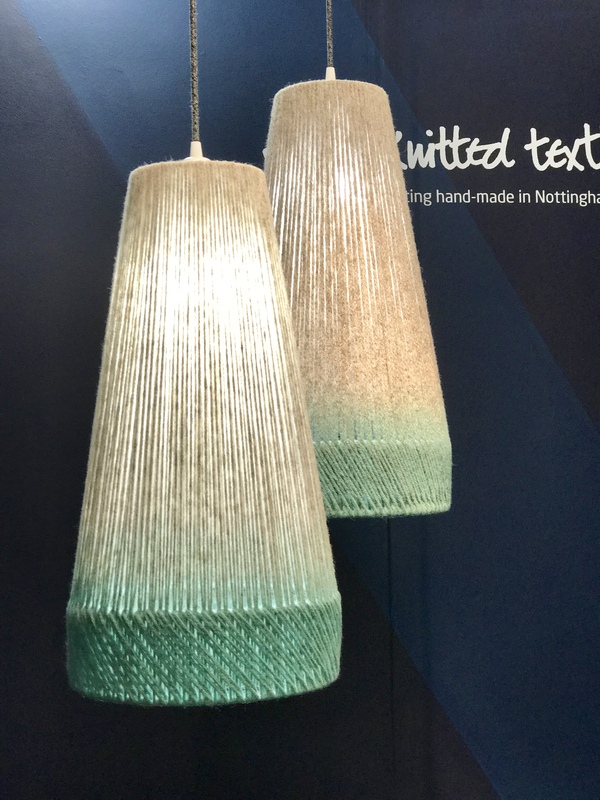 United in connecting with our well-being, and using sustainable resources, these beautifully knitted pendants use naturally sustainable wool that creates a wonderful textural lighting feature. 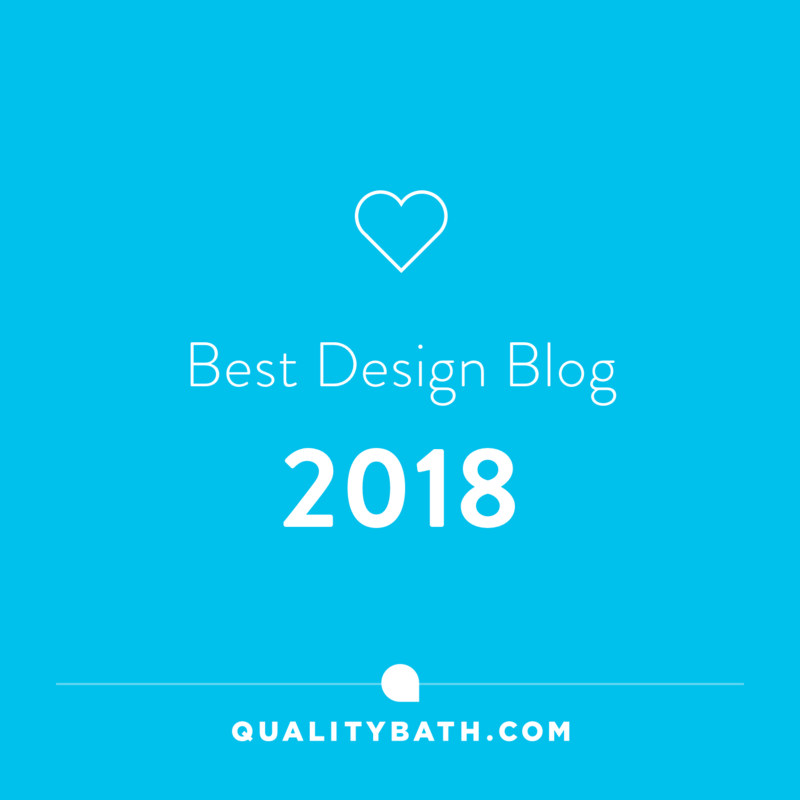 On an end note, London Design Festival is about design connecting with us on a personal level from our daily activities and enhancing our lives which ultimately provide us with the perfect sanctuary from the busy world outside. Now I’ve given you a brief taste of whats been going on this week, I hope you’ll stop by over the coming weeks. There is so much I want and need to share with you. 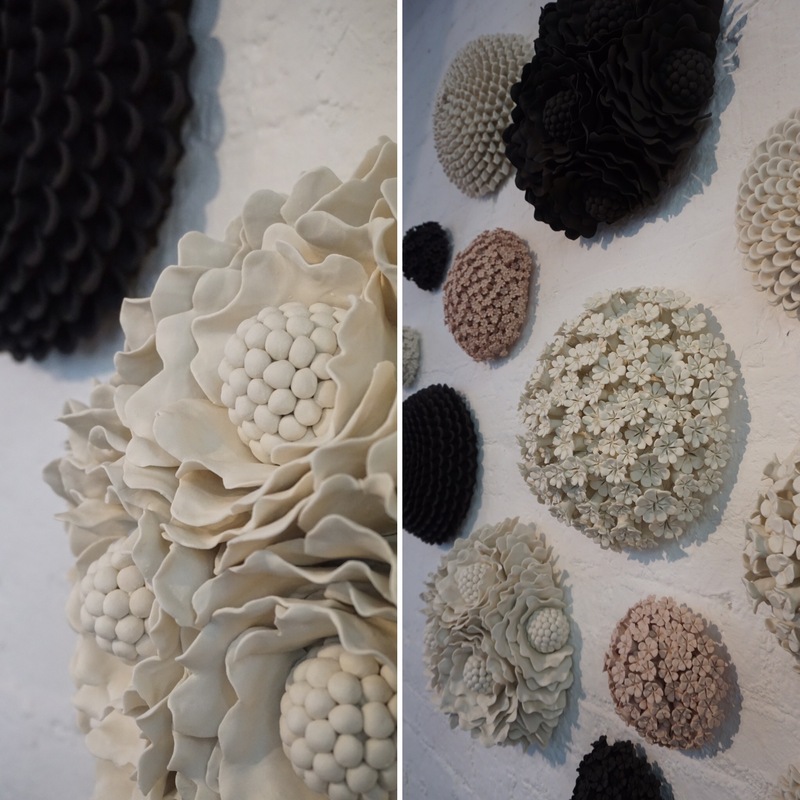 If you want to go see for yourself, London Design Festival continues until Sunday 24th September! You can find out more here. Until next time thanks for stopping by!